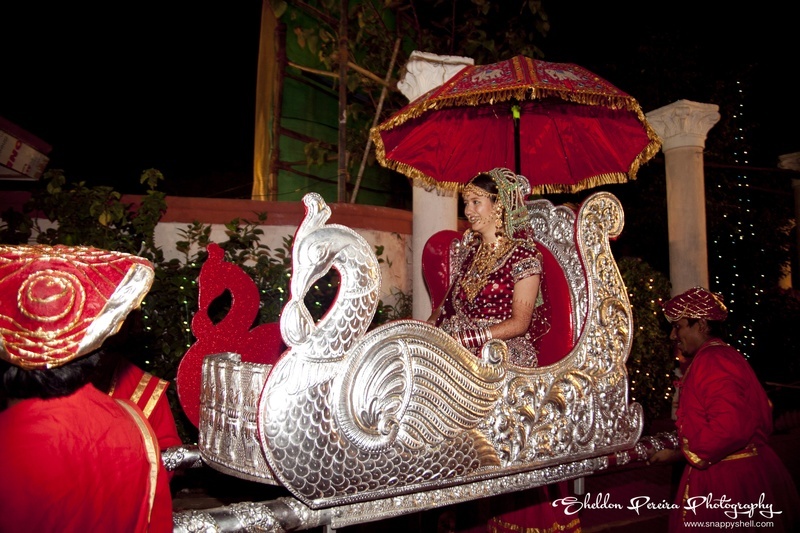 For the West, a traditional Indian wedding ceremony is a completely different, adventurous and an overwhelming experience altogether. 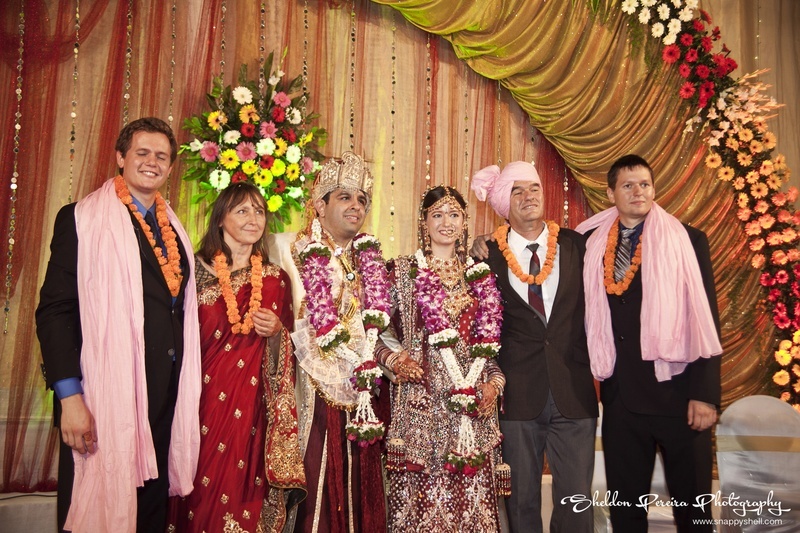 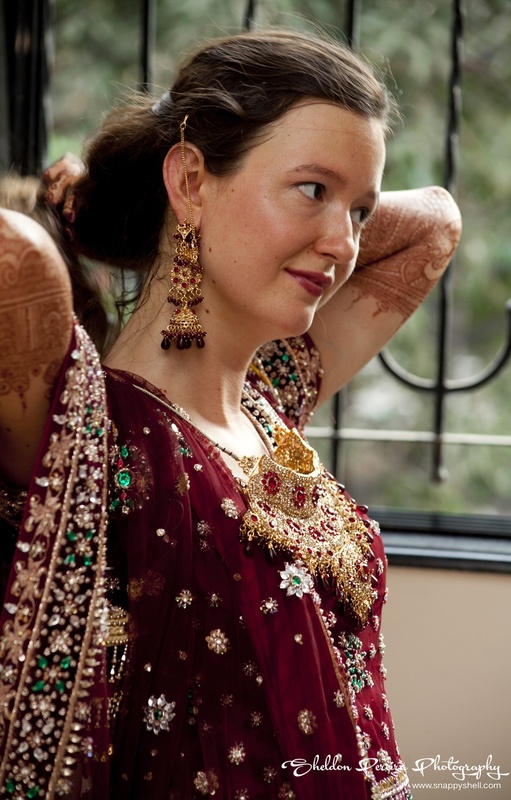 In Karan and Elise’s union, Elise got to experience unconventional rituals and ceremonies that an Indian wedding has to offer. 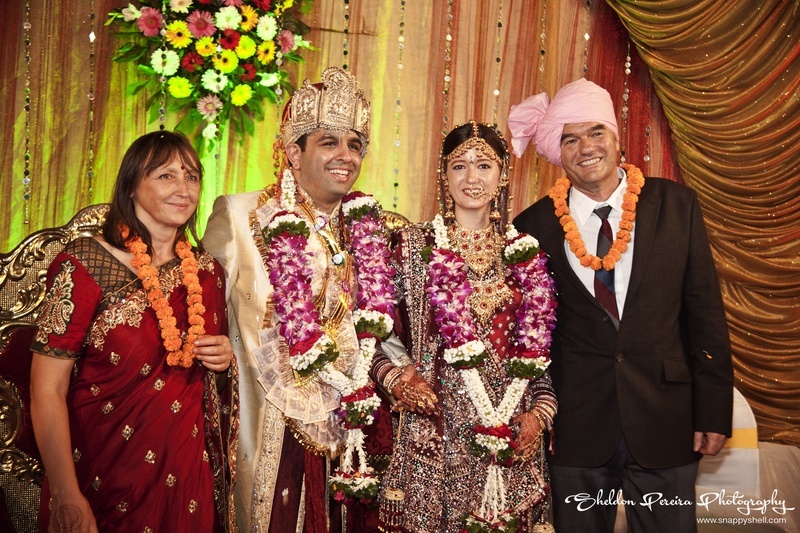 With an ebullient smile on her face throughout the marriage, Elise enjoyed every moment of her marriage. 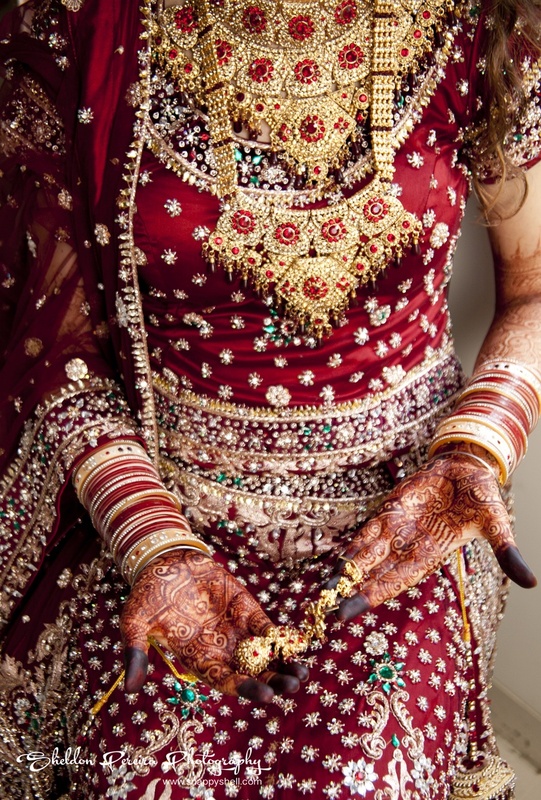 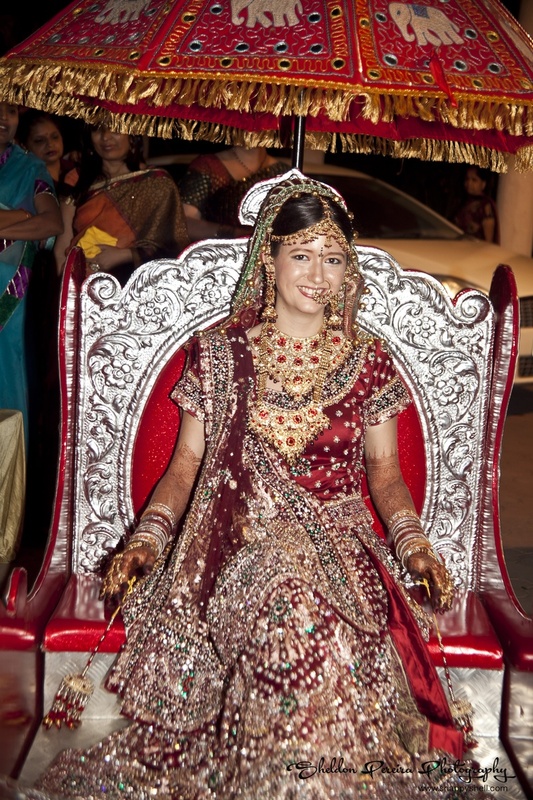 She wore a heavy ethnic red lehenga that featured detailed intricate embroidery in gold and gems. 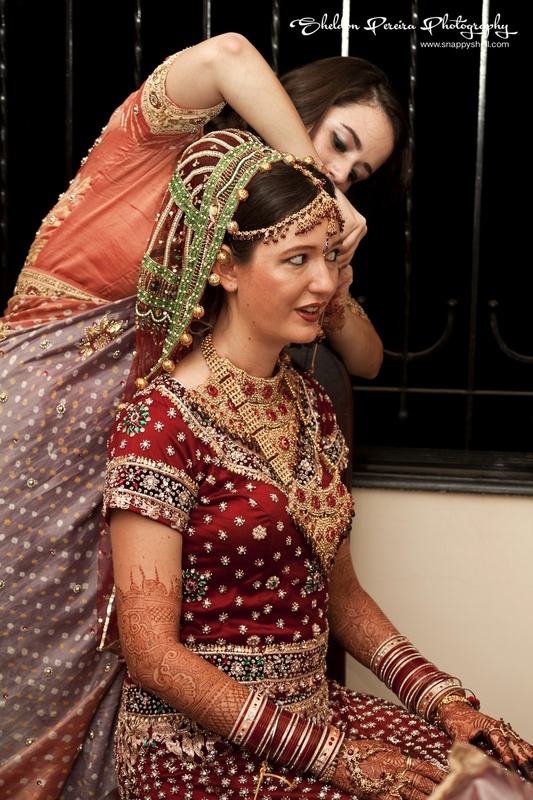 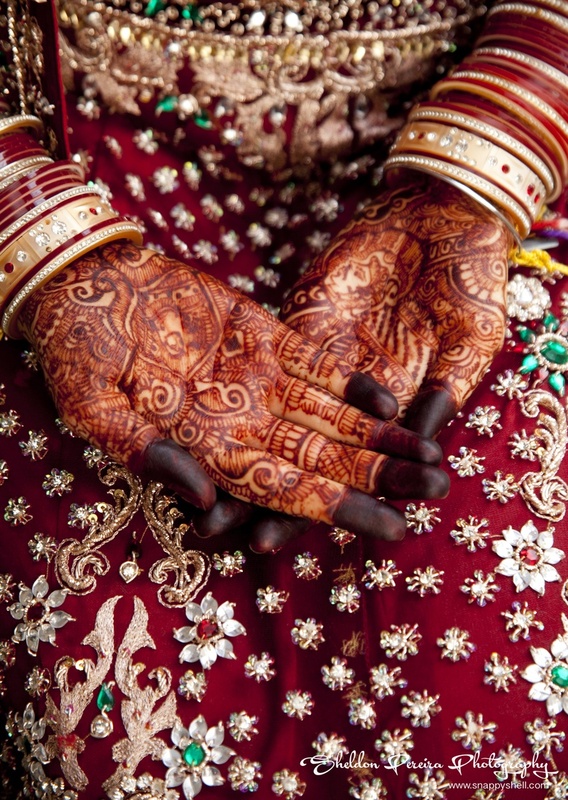 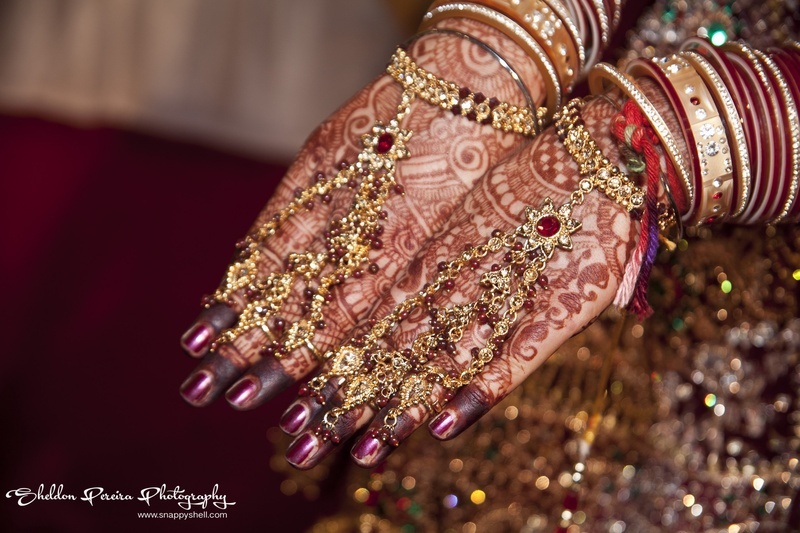 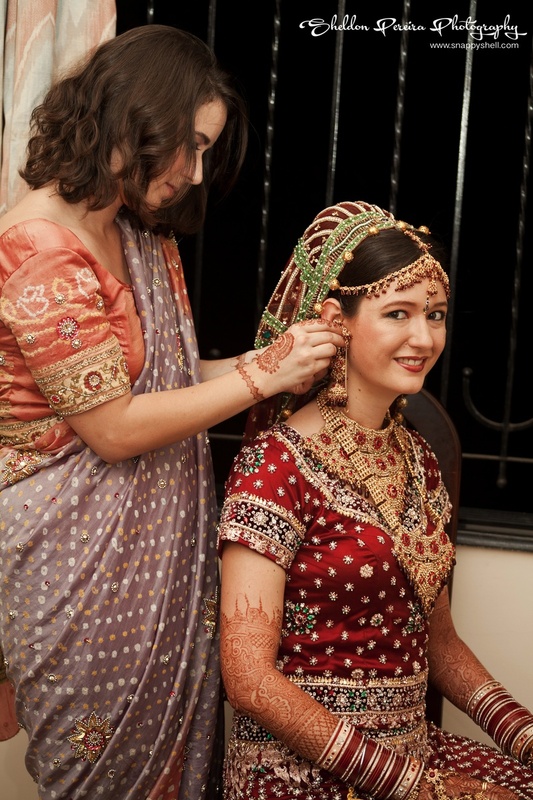 Her artistic mehendi design complimented her over-all traditional bridal attire. 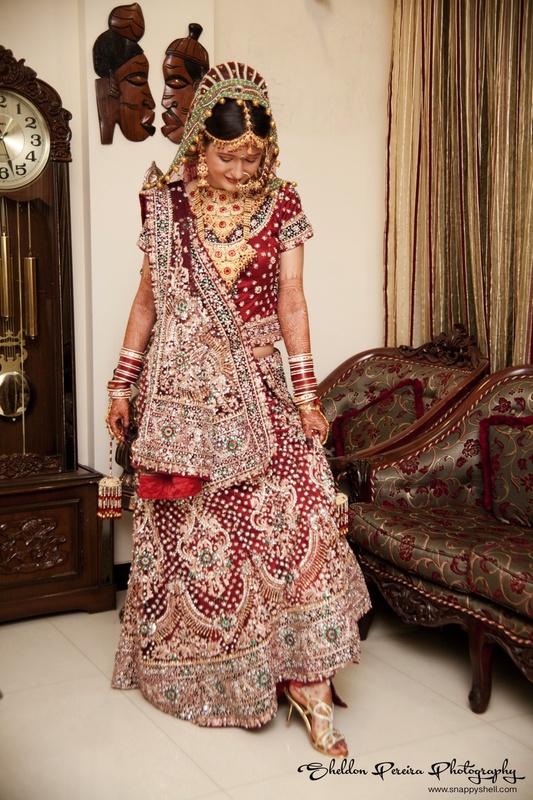 Few of her ornaments were - a gold mathapatti, a pair of gold jhumkas with maroon pearls, a raanihaar with embellishments of rubies and a delicate nath. 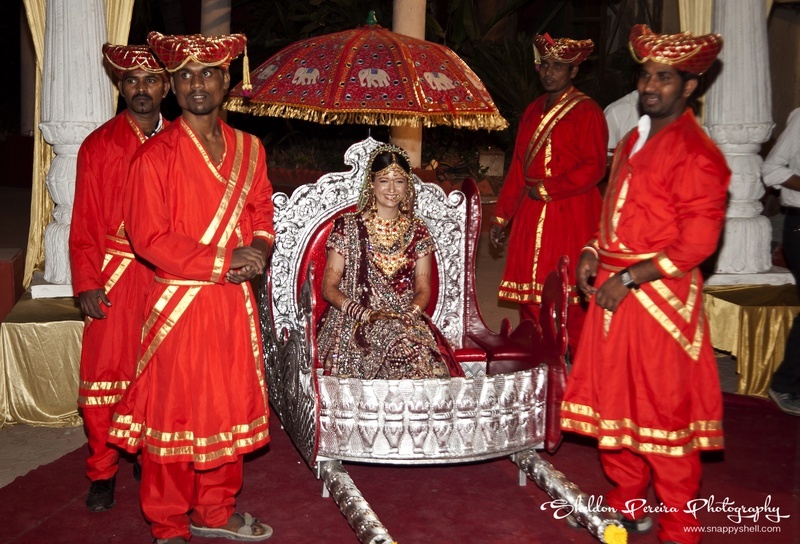 Her grand arrrival to the wedding venue sitting in a silver palki with a red umbrella over her head was the higlight of this traditonal wedding ceremony. 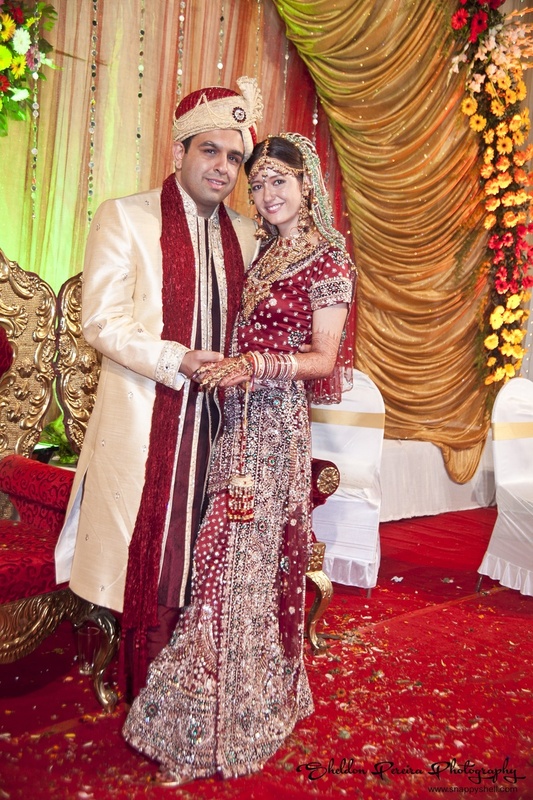 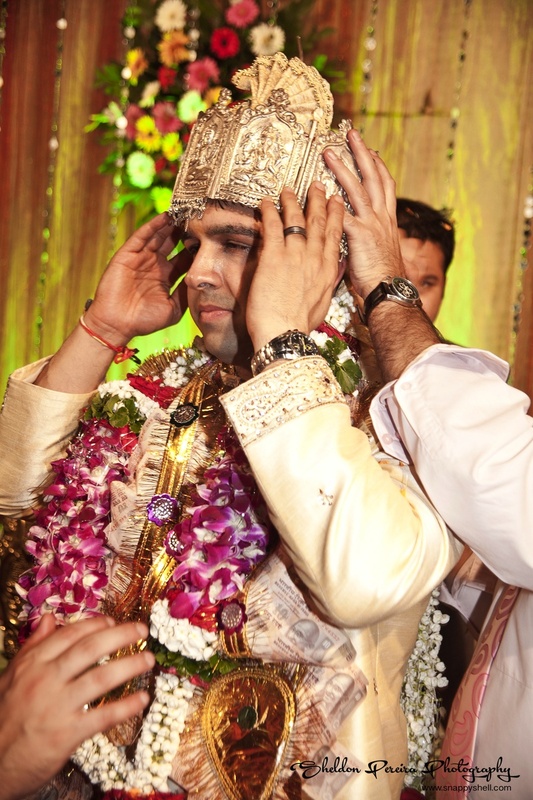 Dressed in an ethnic cream shervani, Karan matched his dupatta with the safa, perfectly complimenting Elsie’s look. 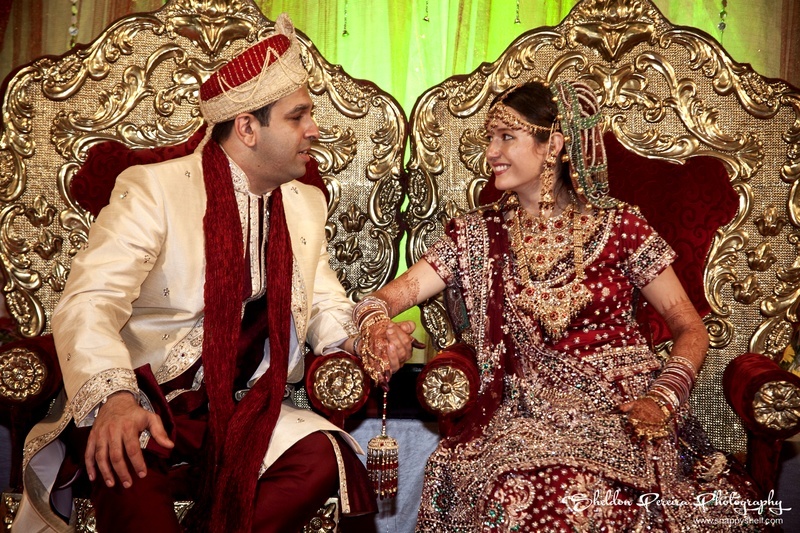 They exchanged garlands in an indoor space that was beautifully decorated with a semicircular bouquet arrangement and sparkly rippled drapes in the background. 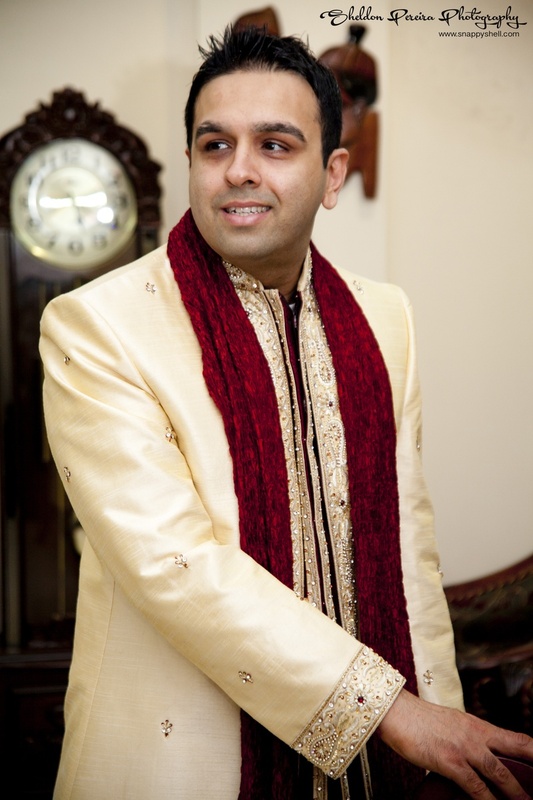 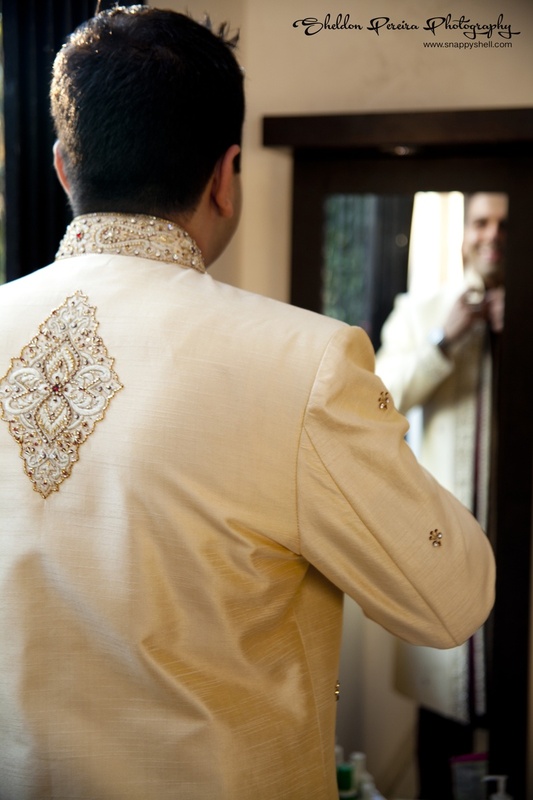 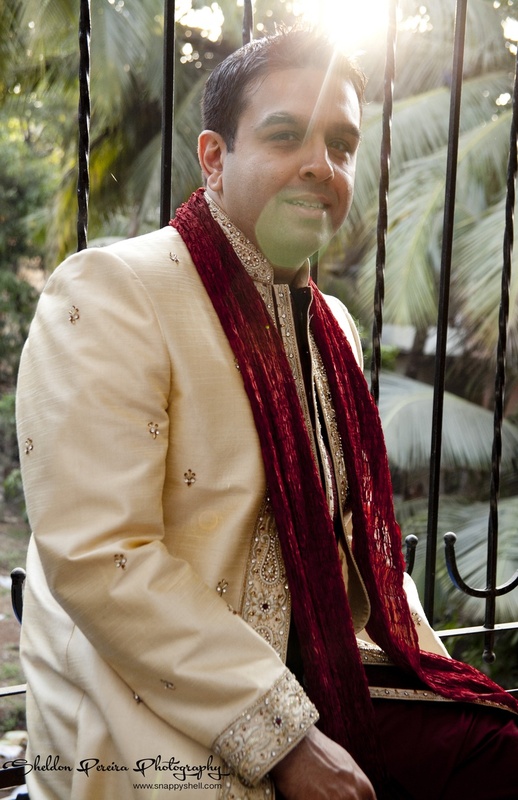 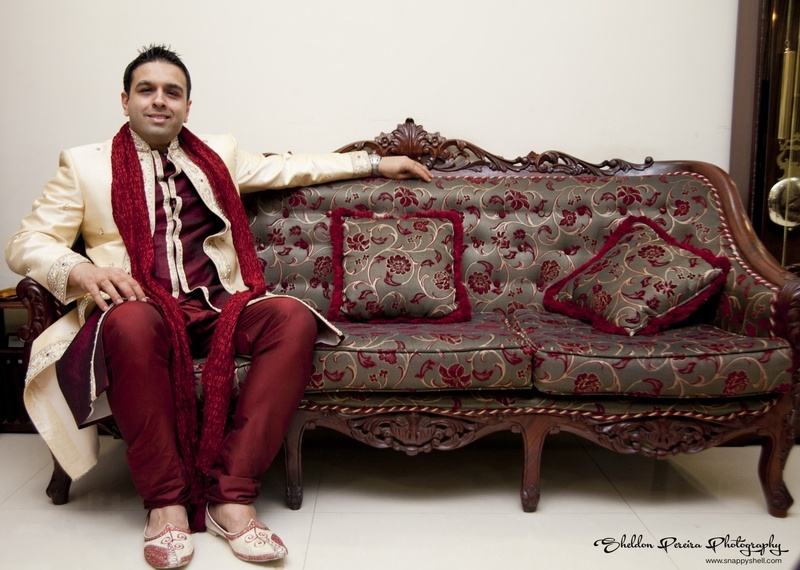 Every image taken by the photographer Sheldon Pereira from SnappyShell Photography, in this cross-cultural wedding was flawless and simply inspiring. 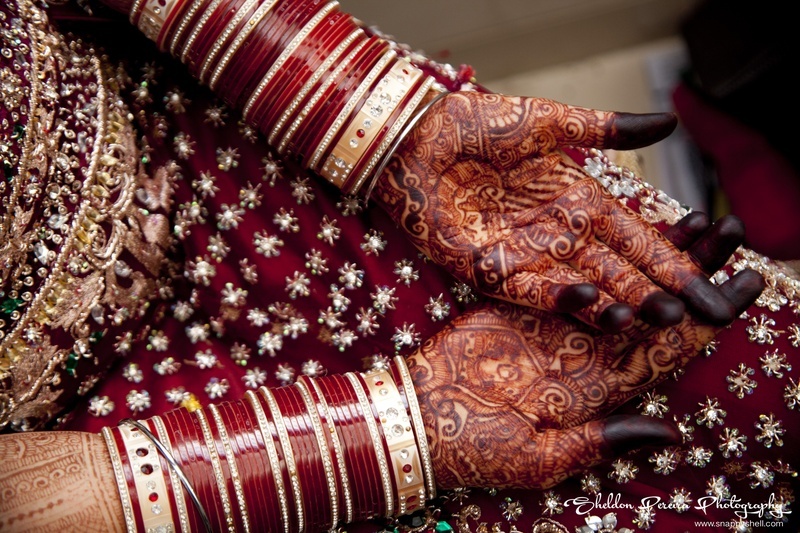 Let’s have a closer look at few of them.